Starting and growing a gift basket business is a lot like climbing into a boat and venturing through the swamps to hook the biggest and tastiest fish you can find. If you are fortunate enough to have a guide who knows the territory and can teach you the skills, chances of success are faster and more likely. But even then, there are alligators waiting to quietly sneak up on you and turn your adventure into tragedy. A knowledgeable guide isn’t essential to success but having one eliminates a lot of trial and error and avoids a lot of alligators. 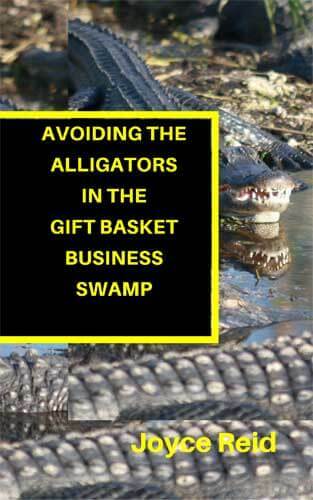 This short ebook outlines some of the alligators that you will encounter as you start and grow your gift basket business. This ebook will be delivered to your email box within 24 hours or less. 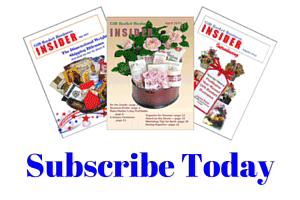 Climb on our Gift Basket Success Express with all the others who have been growing their business with exclusive tips and industry updates. We never share your email address and you can unsubscribe at any time. Three Tips for Greater Happiness in Your Business.